Sympathy is extended to Barry and Mary Deering , Milltown on the sad death of their six week old grand daughter Olivia. Olivia is mourned by her parents Barry and Joanne, brother James and sister Isabella, grandparents Seamus and Mary Dolan, (Bettystown) Barry and Mary Deering, aunties , uncles, cousins ,godparents and family friends. Funeral of Baby Olivia took place on Saturday December 13th 2014 in Laytown. May baby Olivia rest in peace. Thanks to all who supported the Parish Stall at the Christmas Fair in the Imaal Hall. A total of €780 was raised. Sympathy is extended to the Butterfield and Sinnott families on the death last week of Maureen Phillips (Sinnott) Maureen who was in her 98th year was buried in Baltinglass on Sunday December 14th 2014. Maureen is mourned by her sister Lily Kenny, family Tom, Josephine, Maureen, Eddie, Margaret, Doreen, Gerard and many relatives and friends. 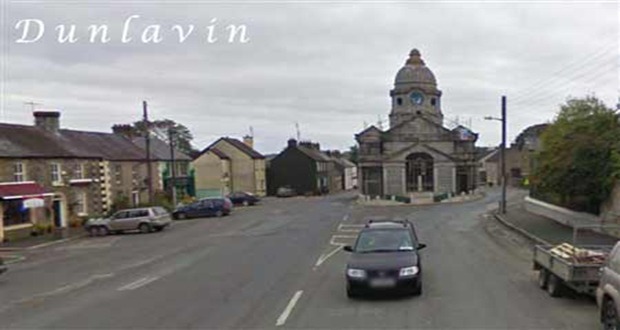 Dunlavin residents association have launched their 2015 calander. It is a photographic history of local events. Great stocking filler at €8, available in the local shops. Nice present for family across the water. Donoughmore Christmas whist drive will take place on Friday December 19th at 8.30pm in Donoughmore Hall. This promises to he a great night . Great prizes and a super raffle . A Christmas Concert will take place in St Nicholas of Myra Church on Thursday December 18th at 7.30pm. The students from Scoil Nicholas Naofa will perform on the night. This year Friedreich’s Ataxia Research Alliance have yet another array of lovely cards with something for everyone. They are sold in pack of 12 for €7 with over 60% or €4.30 going to research for every pack sold. Due to the generosity of local shops, they are available in Parish Office, Dunlavin, OKeeffe’s Donard ,Daly’s Hollywood, The Post Office, Centra, Roches Pharmacy and the Health Centre in Dunlavin, Berney’s Pharmacy Kilcullen, McGreal’s pharmacy and the Office Shop, Blessington, Murphy Sheerin Veterinary & Patterson’s Baltinglass. We would ask parents who park at the entrance to Dunlavin Playground to be very vigilant of children crossing. Parents should not park in front of the crossing points at that location. They should allow for children and parents with buggies to cross in safety. Anyone interested in taking Yoga lessons should contact Kate on 087-2762319. She will conduct small classes starting this Wednesday November 5th. Badminton for fun takes place every Thursday night in the Imaal Hall at 8.30pm. All welcome. Looking for a nice piece of furniture or some Bric-A-Brac why not drop into the newly opened shop The Olde Chair on Stephen’s Street, Dunlavin (beside Rose’s Cafe). Great bargains to be got. A Unislim class has commenced in the parish centre Dunlavin on Tuesday mornings 11am to 12 noon. A great opportunity to shed those unwanted pounds before Christmas. Dunlavin Community Playschool’s Parent & Toddler group meet every Wednesday from 10am-12noon in the Jonathan Swift Hall behind the playschool. Cost is €3 per adult. More details contact 045/406866. Great to see the fruits of the work by the Dunlavin Men’s Shed. All the lovely wooden Santas and Snowmen that are illuminated around the town. They meet every Tuesday from 10am-2pm and Thursday nights 7.30pm to 9.30pm. in Murtagh’s. All welcome. The friendship club takes every Friday at 3pm in the parish centre. New members welcome. Anyone wishing to join walking group meet at Imaal Hall on Monday, Wednesday and Friday mornings at 9.30am. Coming into the winter evenings people are asked to check in on elderly neighbours. Community text alert has been launched in the Dunlavin area. Residents can sign up for €10. Forms are in Ed’s Veg shop. People are urged to be vigilant at all times and contact the Gardai if the spot anything suspicious in the area. Why not drop into the newly refurbished library in the Market House. Great selection of new books especially for children. Membership is free, free WI-Fi and internet access.The daily and local newspapers are available to read. Opening hours Tuesday 6.30pm-8.30pm, Wednesday 3pm-5pm, 6.30pm-8.30pm.Friday 10.30am-1pm and 3pm-5pm. Saturday 11am-1pm. Closed Saturdays of Bank Holiday weekends. Bingo takes place in the Imaal Hall every Saturday night at 9pm. Jackpot waiting to be won now stands at €2000. The funds raised by the Bingo goes towards the upkeep of the Imaal Hall and well worth supporting.